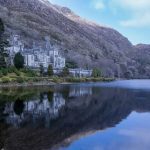 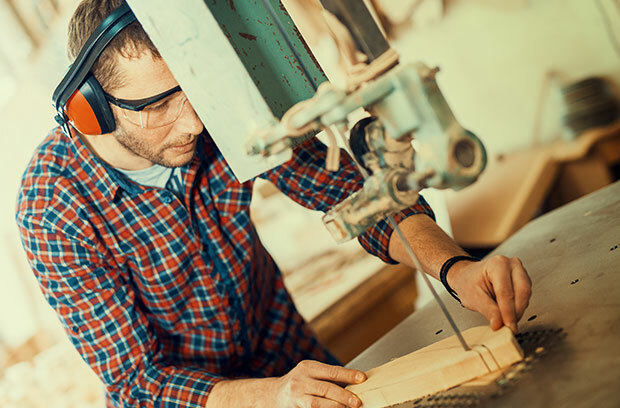 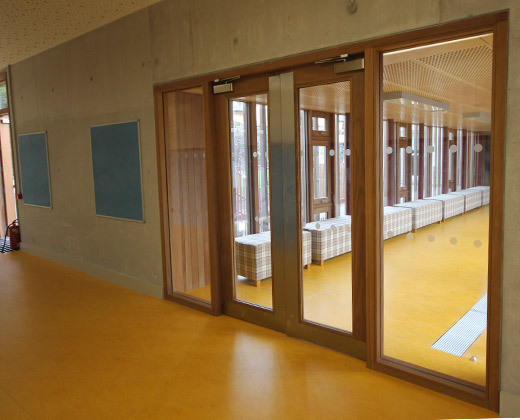 Loughnanes Joinery was commissioned to supply and install birch plywood, fire rated acoustic panelling and wall panelling at St. Angela’s College in Cork. 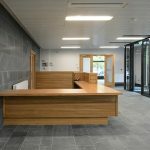 The €9.2m development constructed by L&M Keating has been awarded the Royal Institute of the Architects of Ireland (RIAI) Award for the Best Educational Building in 2016. 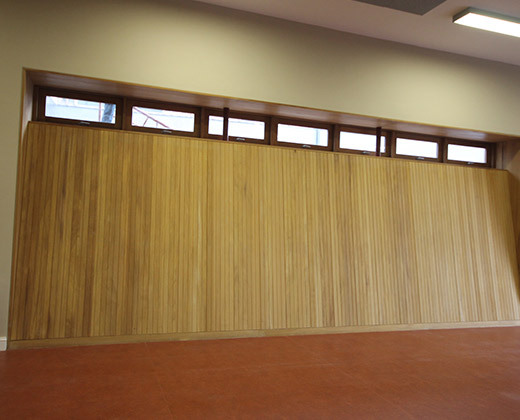 Loughnanes Joinery manufactured bespoke fire screens made from teak. 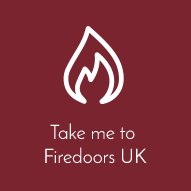 Some of the fire doors were formica FD 30 fire doors and formica FD60 Fire doors. 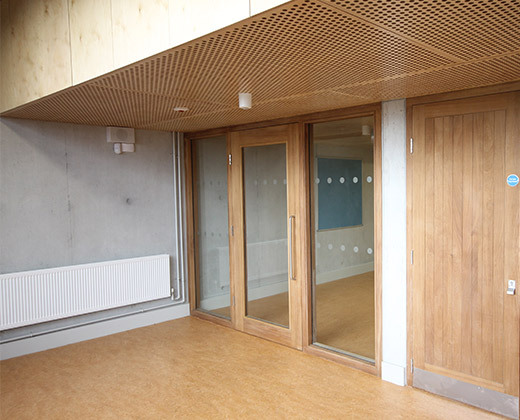 Some of the fire doors were bespoke teak sheeted fire doors. 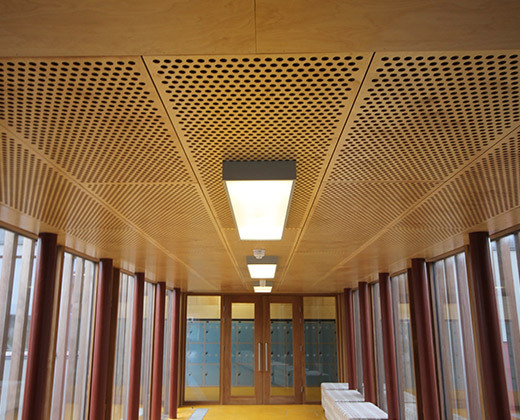 Teak sheeting is also evident in historical architectural structures within the schools gymnasium. 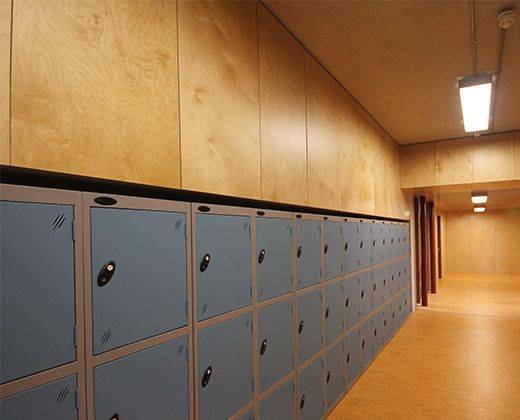 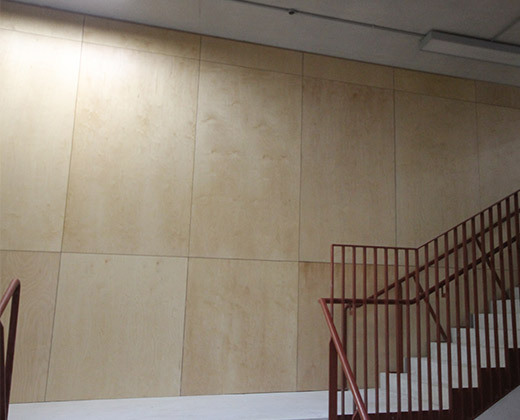 Throughout the school fire rated birch plywood acoustic panelling reduce noise in the schools corridors and gym area. 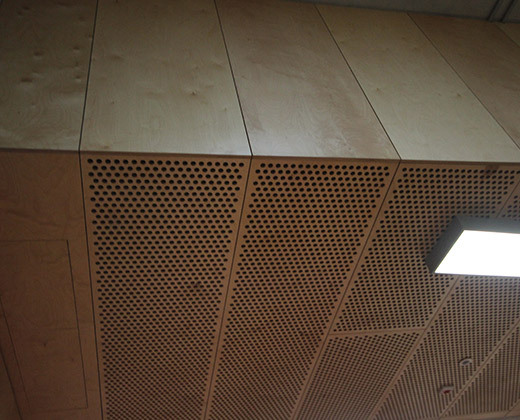 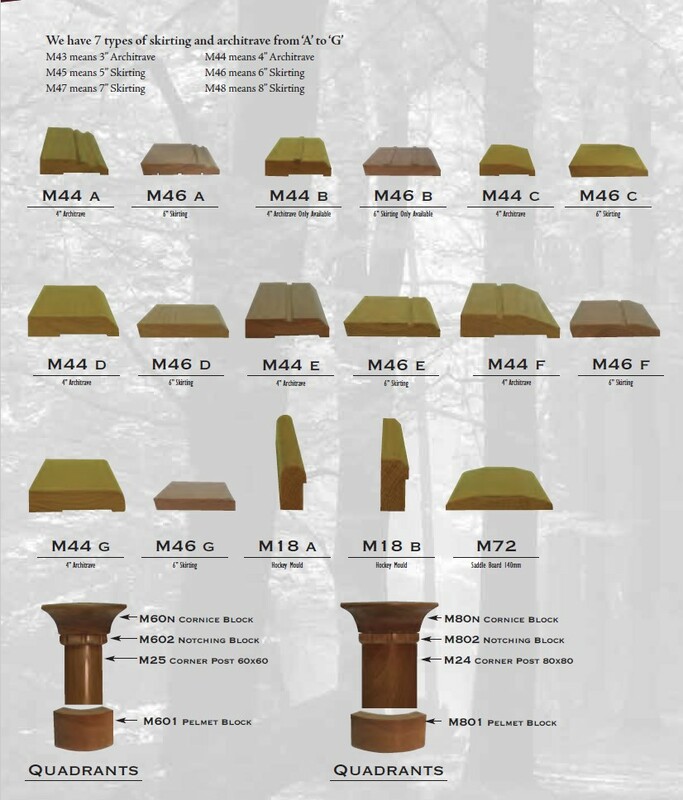 The pattern of the acoustic panelling is specially designed to reduce noise. 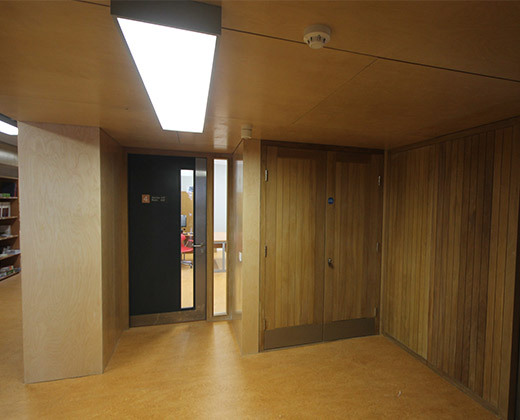 After our 4 CNC routers routed the panelling, they were subsequently treated with fire retardant lacquer.